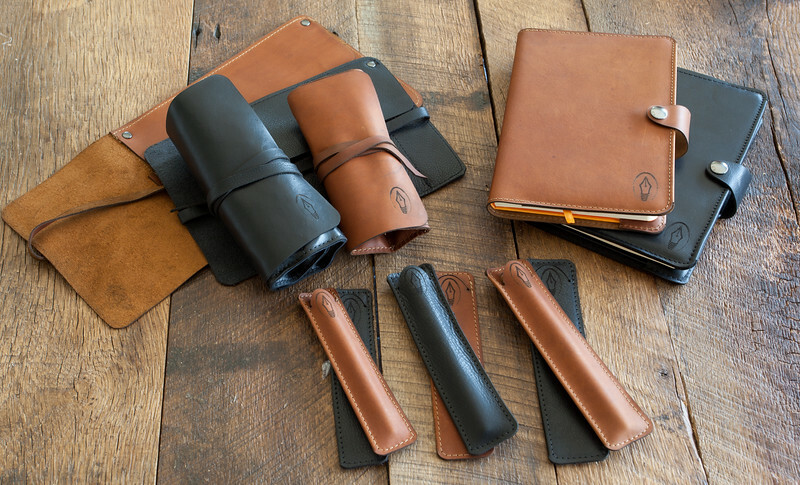 Edison Pen Co – Edison Leather Goods! 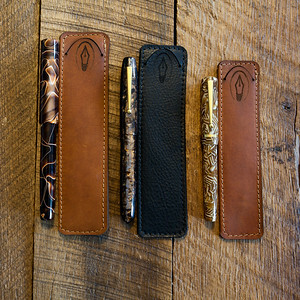 The Edison Pen Company is proud to offer Leather Goods! 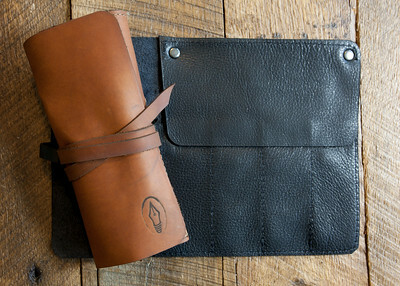 These include pen sleeves, pen rolls, and hardcover journals. Without these qualities, we never felt that we could stand behind any leather products in the same way that we stand behind our pens. Our Guarantee that we offer with our pens will also apply to our leather goods. These leather goods are being made by a husband and wife team who are doing excellent work for us! This is also the only time in the history of Edison that we have offered a product that we have not manufactured ourselves, with the exception of roll stops and overlays. But even in these cases, we manufacture the pen itself. I believe that this illustrates the pride, excitement, and faith that we have in these leather products. Our leather products are 100% handcrafted in the USA, sourcing leather from a tannery in Ecuador. The leather is responsibly harvested in regards to animals as well as the local eco-system. The leather is primarily vegetable tanned and then waterproofed. This leather will break in nicely and show its character over time. But if you prefer to restore it to like-new condition, you can do so using mink oil. Click on the images below to see a description and pricing for leather goods. If there are any questions, feel free to leave a comment or reach out! Excellent. When I purchase my next pen, I will definitely want a sleeve. 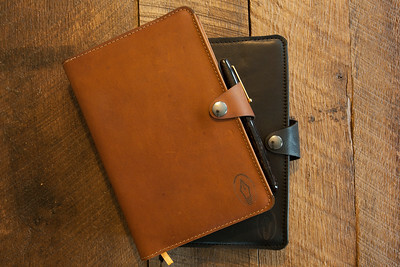 The Rhodia notebooks with covers are also something I will be interested in.